My kids were going at this as soon as it was cooled off. The combination of the vanilla bean and crushed pineapple makes me feel like I am in the tropics. If I could just get the weather to be 20 degrees warmer, then it would be Paradise! This has been a family favorite for years. So moist and delicious. 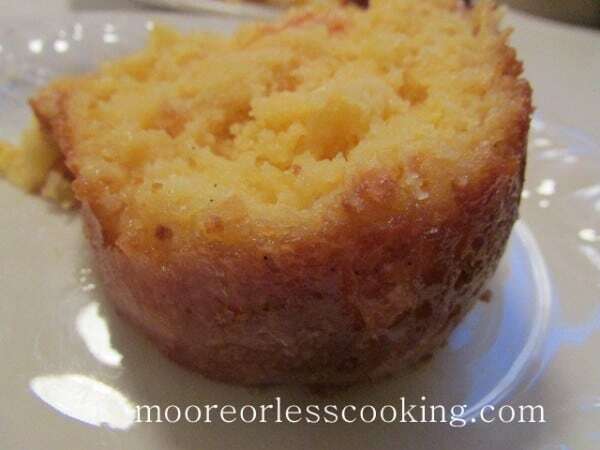 If you are looking for a great easy cake, this is the one. It’s just like the name implies, you literally poke holes in the cake. I like to use the handle of a wooden spoon, it’s the perfect shape for making holes. You want them to be big enough to soak up liquid. Then you pour whatever filling that you are making into the holes you just created and top with a frosting or topping and garnish. 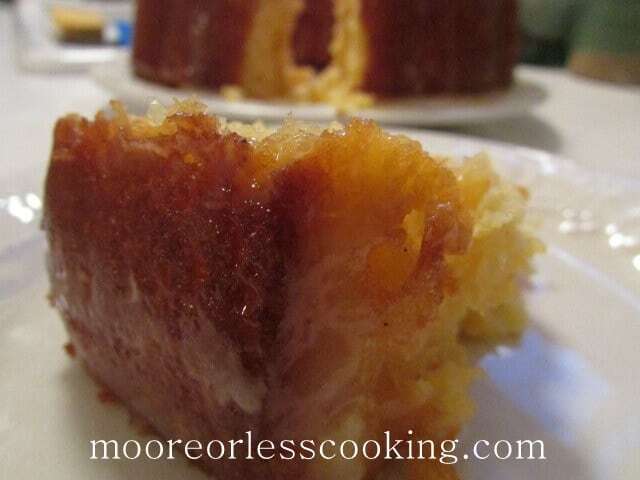 The filling can be pudding, sweetened condensed milk, jello….your imagination is the limit. It finally feels like Spring here in Maine with 75 degrees temperature, so I am not complaining at all. Lunches on the bay, with a cool breeze. Happy Hours on the weekends with friends, I can feel summer right around the corner. 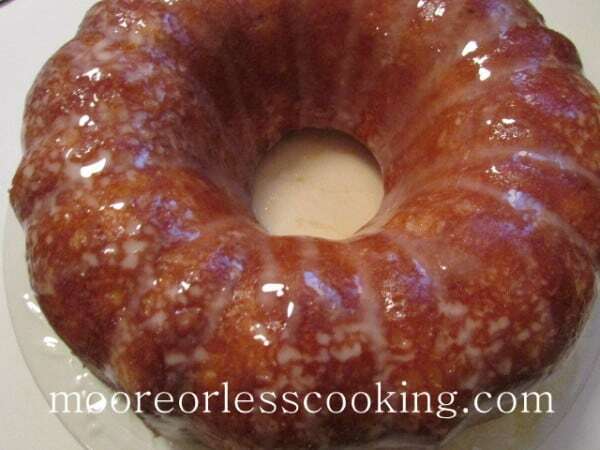 A Bundt cake is any type of cake that is baked in a Bundt pan. You may be eye-rolling or saying “C’mon Nettie…duh,” but there are quite a few differences between a Bundt and regular cake pan. To start, Bundts can come in all different shapes, sizes, and designs (though round with grooved edges is really the most popular). A very dear friend gave me this recipe years ago and I have made it many times. Very popular, easy to make and the compliments keep coming. A great potluck dessert. This Pineapple Cake from scratch is a tropical dream come true! It’s an easy to make, seriously moist, deliciously fluffy, homemade pineapple cake. Yes I even dare say, it’s the best pineapple cake! Check out my newest video! 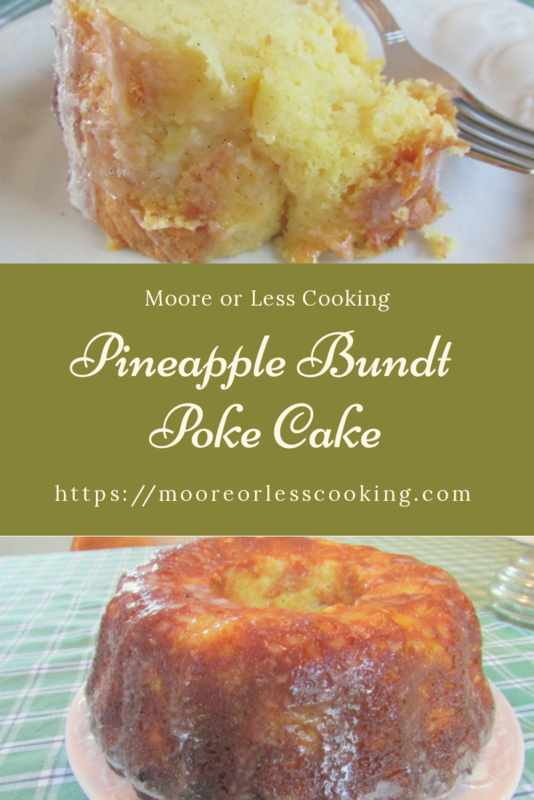 It’s so easy it is to make this delicious Pineapple bundt Poke Cake! I made this for Easter and everyone said it was amazing! I made mine in a bundt pan. They were asking for the recipe. A delicious moist pineapple cake that is loved by all! 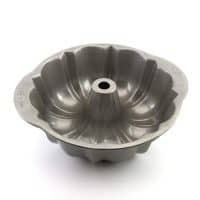 Spray 12-cup bundt pan with cooking spray. Drain pineapple; measure ¾ cup juice to use with cake mix. Reserve remaining juice for the soaking mixture. 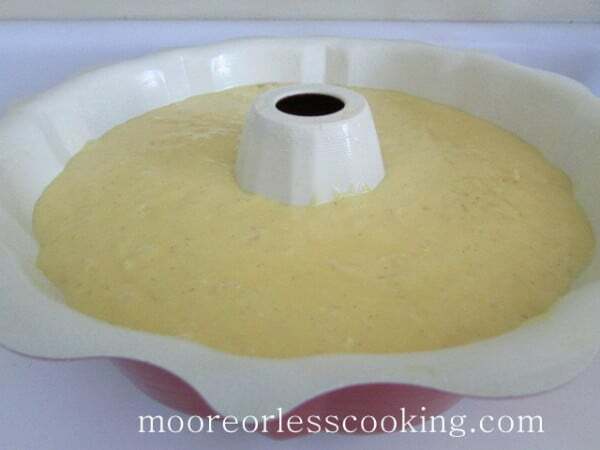 Beat cake mix, pudding mix, eggs, oil and ¾ cup pineapple juice in large bowl with an electric mixer for 2 minutes. Scrape half of the vanilla bean pod; combine with cake batter or mix 1 tablespoon vanilla extract into the cake batter. Bake 38 to 42 minutes or until a toothpick inserted in center comes out clean. 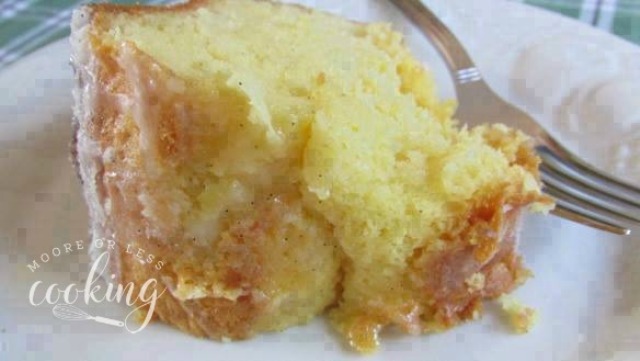 Combine remaining pineapple juice, powdered sugar and melted butter in a small bowl while the cake is baking. Scrape the other half of vanilla bean pod and mix with juice mixture or stir in remaining 1 tablespoon vanilla extract. Remove cake from oven and set on a wire rack. Poke holes in cake with skewer at ½-inch intervals while still hot and in the pan. Pour soaking mixture over cake (NOTE: if soaking mixture begins to pool, poke additional holes in the cake). 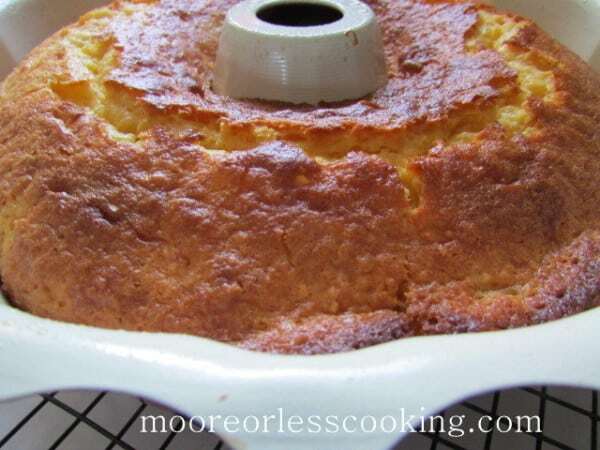 Allow to cool in pan 30 to 40 minutes, then flip cake upside down onto serving platter; remove pan. Cool completely then drizzle with glaze, if desired. Confectioner’s Glaze: Combine ½ cup powdered sugar and 1 tablespoon cold milk; whisk until completely combined. Cover with plastic wrap until ready to use. The recipe doesn’t say how much pineapple juice to measure out. Can you help with this? Never mind, found I have to drain crushed pineapple. Thanks any way. 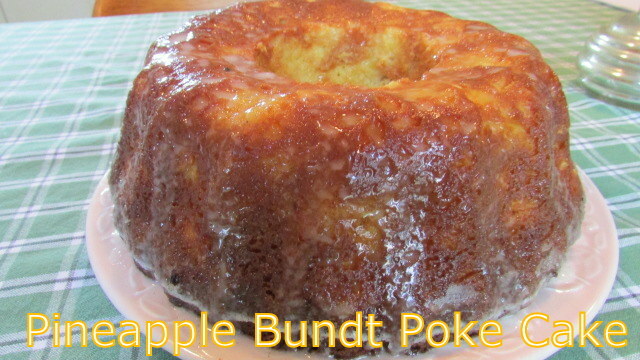 I’ve made poke cakes before but never with pineapple and never using a bundt shape. This looks delicious. It’ll have to make an appearance the next time I entertain. I am so happy everybody loved it! No addition of milk, Beat cake mix, pudding mix, eggs, oil and 3/4 cup pineapple juice in large bowl with an electric mixer for 2 minutes. This is the second time I made this recipe. I kept it in the oven a little longer – oh 4 minutes and certainly let it cool over 40 minutes. It is so moist. But I just got back from across the street to the neighbors house and delivered their Christmas present and a half gallon of Blue Bunney Vanilla Ice Cream. Thanks for the recipe Nettie and I’ll follow you on Pinterest — my Sister Jean, my son’s girl friend and two nieces are cracking up getting me interested in cooking. I’m retired and my wife is not, so — I’d like to put a meal on the table when she returns from work. I’m a wood shop guy, so I’m trying … you make it look easy and encourage us shop rats. LOL! That is so wonderful Robert! You will be baking more with more practice, it’s great to start off with these easy recipes and then gradually take the bigger steps. I have some wonderful crock pot recipes on my site, just put everything in a crock pot and then you can go work in your shop, come back hours later and you will have a beautiful meal for you and your wife! Merry Christmas to you and your family! I’ve made this three times and there is never any left over. Now the relatives come a runnin’ when make this Pineapple bundt cake. My husband says even the smell of it cooking taste good. I have made this cake three times now too. I adapted your recipe to add another can of sliced pineapples that I bake with brown sugar and butter in the oven, along side of the bundt cake. Then I use them to decorate the cake (after you’ve cooled and turned it out of the pan) with adding maraschino cherries to each slice for a tradition look. Then I glaze the top with the juices left from cooking the sliced pineapple. AWESOME! Thanks for the recipe as it truly is so nice and most and tasty! This looks like such a nice moist cake. I can’t wait to make this for my mom. I have made this three times this summer. Amen. Now I’m going to go work out forever. I havent had a bundt cake in years. This one sounds so good. I am sure this is delicious. 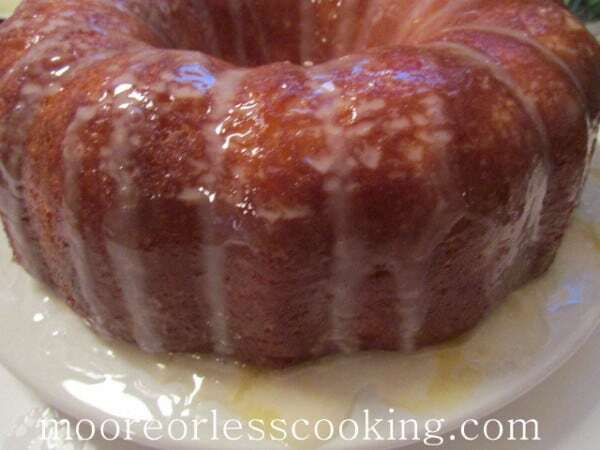 I’m going to make this to night…what kind of cooking spray to use for the bundt pan? Thanks for responding. I use Pam or Vegetable Spray. This cake is absolutely amazing!! I’ve already made it twice, and everyone loved it!! Did you allow the cake to completely cool before flipping out of the pan? I would love to make this but there is so much vegetable oil. Is there any substitute we can use for the oil? Maybe apple sauce or melted butter? I used coconut oil and it did great! Hello, I was only barely able to squeeze out 3/4 cup of juice from the can and don’t have any left over for the next step. I have an extra can of just juice I can use, but how much would you say is usually remaining? Thank you! This looks delicious! Can I make ahead and freeze it? Thank you for your quick response! I’ll let you know how it turns out. I’m only freezing it for a week. It should work out fine for you then. I’ve made this a number of times and love this cake! It’s very moist and delicious. Just to make sure I understand correctly. ..you’re saying that 1/2 vanilla bean is equal to 1 Tablespoon of vanilla extract? This cake looks amazing. I love pineapple upside down cake but think this cake would be even better and perfect for my Easter table. This recipe was a hit for my birthday! Not only tasty but so quick and easy to make. Hi , would 2/3 C. oil and 3 eggs work ,? 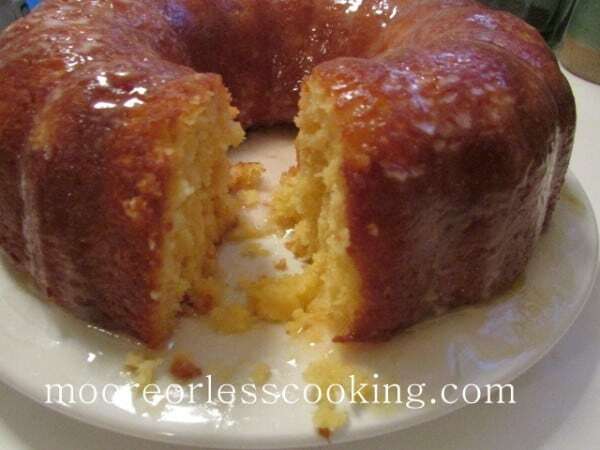 that’s what I do for lemon bundt cake with a box of vanilla pudding and comes out great.